Promotion now finished - thanks for downloading. If you did grab one or more of these freebies and enjoyed it - hopefully you'll return the Christmas cheer and drop a brief (but fair) review on Amazon or Goodreads. If there are any other stories you'd like to see me write I'm more than open for suggestions etc. Just leave a comment below. Hope you all have a great week. William Cook joins the Modernism School of Poetry. From Wiki: "For the modernists, it was essential to move away from the merely personal towards an intellectual statement that poetry could make about the world." Thus William combines a writing style of prose and poetry to weave an intellectual tapestry, slipping his words in and out of subjective and objective observations, pulling and pushing the reader to envision the completed tapestry while savoring the in's and out's of the words themselves, much as we watch a movie without thinking about the camera work or actor interpretations of the screenplay. As Peter Gabriel points out in The Cinema Show regarding the use of cosmetics: "Concealing to reveal." 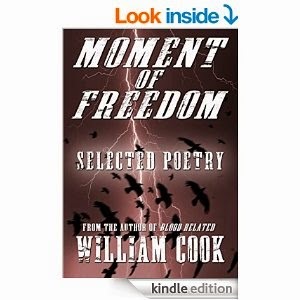 Let's consider the "The edge of the night" from MOMENT OF FREEDOM: Selected Poetry. First off, two notes: the title Moment of Freedom is ironic in that the title indirectly states, a lifetime of slavery to the "moment of freedom", much as the term "a cloudless clim" from Lord Byron, must incorporate "cloud" to denote an empty sky: an image to convey emptiness rather than simply using the unpoetic "empty" to state such. Second, the poem's title capitalizes the article but not the noun or prepositional phrase, combining poetic license with standard grammatical rule (namely "The", the first word in the line, must be capitalized). The intellectualizing has begun; William flaunts the world's rules by obeying them as he pleases, this, a moment of freedom. To discuss William's deliberate misuse of grammar would be folly as it is part of the pursuit to reach the reader. Note also his use of metaphor and litotes. To say simply: "a corpse" is not in his vocabulary; he metaphorically says "dinner" and the diner, death ("the dead!"). Knowledge is life, and life is accepting death: "The darkness comes from knowing nothing is ours, except death...." The first slip into litotes comes from a shift into prose from the metaphor: "...to wake with a sore splitting back from the cold floor in borrowed clothes and eyes..." and with the "borrowed...eyes" shifts back to poetry and metaphor. These are very aesthetic acrobatics. Furthermore, in the line "To wake up and see the sun if not the glare from beyond" we see additional shifts with the sun at once literal and figurative (as that solar body we find upon waking and as a metaphor for the afterlife). William maintains the balance between shifts throughout the work and ultimately "time" becomes a "cannibal" eating us as we sleep and wake, with varying degrees of metaphoric intents. Thus, the final line of Part II captures this fatality of cannibalism of the self as William becomes the "I" of the poem and states the thesis with the "if", bringing together the personal and the intellectual in Part III: "The science of the mind corroded the body, blinded every mile I ever burnt in this life and the next if there ever were such a thing." A work in three parts, "The edge of the night" is representative of the poetry throughout MOMENT OF FREEDOM. Think of the book as a complete poem with each individual poem making up the whole. I do not recommend jumping around reading individual works, but rather beginning to end, as one would read James Joyce's Ulysses or William Burroughs' Naked Lunch. It is a work worthy to be mentioned with these modernist authors." Side note: Cook included one of my favorite scenes from his highly recommended novel, "Blood Related." 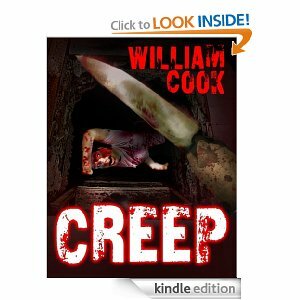 There's enough entertainment value in this package to turn lovers of serial killer horror into William Cook fans." I just finished reading this book and was not disappointed! 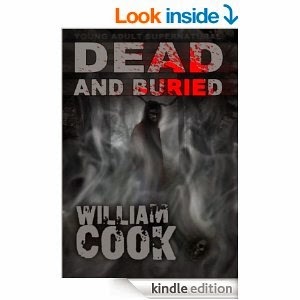 I know it is a young adult thriller, but it is a great read for anyone fond of horror, the underdog finally getting his chance at retribution, and a good ghost story. I read the whole thing in one sitting because it was so good. It is not for younger readers, the youngest I would recommend is probably 13 or 14, because it is quite graphic in places but the theme of the story allows for that factor. Donny is a very tortured young man and he does the best he can to cope with a cruel world not of his making. This will grab you and keep you enthralled until the end." Merry (early) Christmas - go for it! Please share this post and if you like the work please take a moment to say thanks and drop a quick review when done.